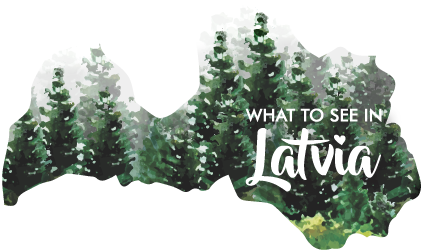 99 FACTS YOU DIDN’T KNOW ABOUT LATVIA: THE SPECIAL 99TH INDEPENDENCE DAY 3-PART SERIES – PART II. #31 All people from Latvia could comfortably fit in a 40ha huge area. The Old Town of Riga is only 94 ha. #32 There is a very popular ring in Latvia called the ‘Namejs Ring’ that many Latvians still wear. The legend says that King Namejs had this ring made to be able to identify members of his tribe at a glance. These rings still exist today. #33 The highest hill in the country is “Gaizins”. It is only 312m high. #34 “Irbene Radio Astronomy Center” is the world’s eighth largest radio telescope. During the Soviet times it was called “The Starlet” and was used to spy on Western adversaries. Now it’s used by astronomers for scientific purposes. #35 Latvians love to joke about Lithuanians by calling them “horseheads”. Don’t worry, Lithuanians call us the same and no one knows how it all started. #36 The construction for our National Library took a lot of man-hours. If only one person would build it himself, it would take 2100 years for him. #37 In 1950, when Latvian Visvaldis Dzenis was working in Brunetto Cheese Co, USA, he developed a mechanical Mozzarella cheese dose maker creating a unit which makes the cheese in constant size and weight as we see it in the shops now. He sold the patent in 1959 and made enough money to create a modern wood factory. He created 300 jobs once Latvia gained its independence back in 1991. #38 From year 1969 till 1988, Porsche’s main design director was a Latvian, named Anatolijs Lapins. Anatolijs was one of the thousands who left Latvia as a child during World War II. He finished his journey in USA in 1951. His passion for cars lead him to work with companies such as General Motors, Opel and Porsche. During his time at Porsche, he was responsible for models including Porsche 911SC Weissach Coupe, model 924, 928, 944 and others. #39 In Kuldiga, you can visit Venta Rapid – the widest waterfall in Europe, stretching up to 270 meters. In spite of this, don’t expect the height to be as impressive – it is only a couple of meters high. #40 Latvians do not need organic food shops. Almost every family, from time to time, still forage for natural foods in the forests, fields and our own gardens. We are picking berries and mushrooms, gathering teas and even collecting birch sap juice in the Spring. 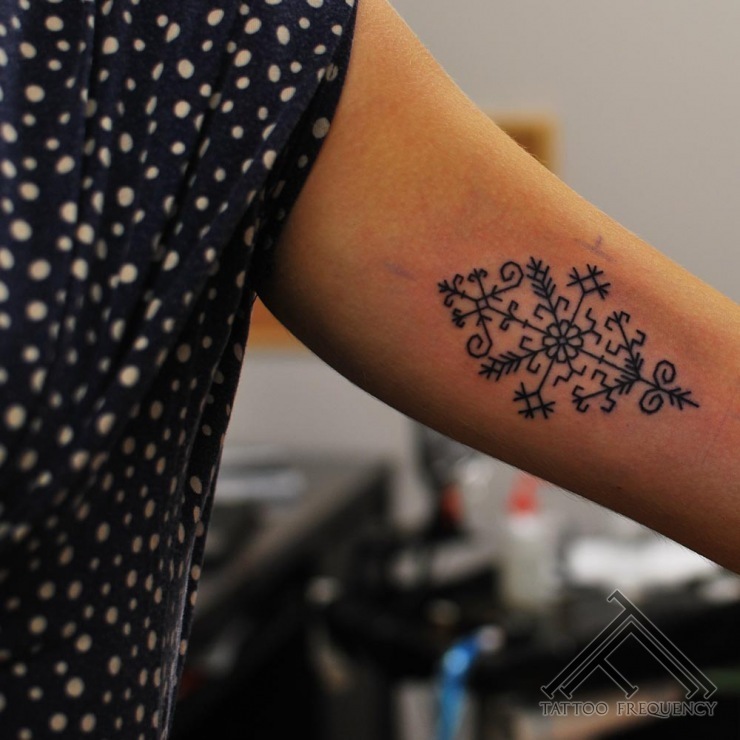 #41 Latvians are still pagans at heart, with many paganic traditions and rituals. 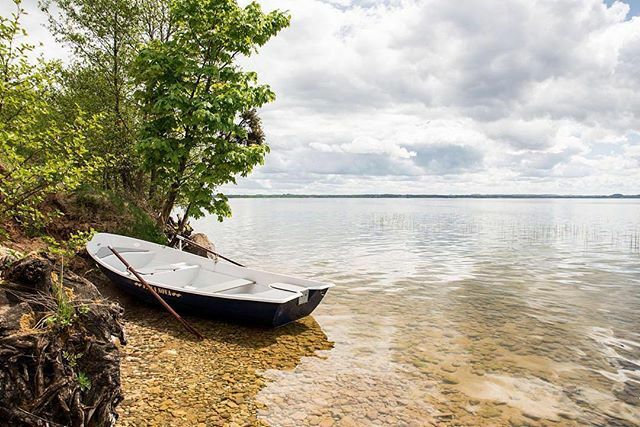 The most special and magical is Ligo Festival during the Midsummer on the 23rd of June. Traditions include jumping over bonfires, singing and dancing til the dawn and other magical rituals. 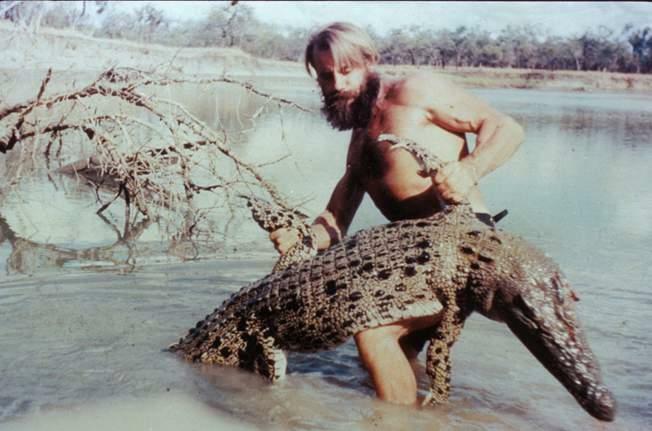 #42 The famous Crocodile Dundee in real life was a Latvian man named Arvids Blumentals (also known as Crocodile Harry). Arvids was born in 1925 in the small city of Dundaga. In 1951, he moved to Queensland, Australia and became a crocodile hunter. Numerous documentary films have been made about Blumental’s exciting life. Rumors have it that Arvids killed more than 10,000 crocodiles over a 13-year period while in Australia. Blumentals also caught “smaller” crocodiles — which were up to two metres in length — with only his bare hands. #43 Legendary painter Mark Rothko was born in Daugavpils. Later in life, he moved to the US. In 2014 his painting No.6 (Violet, Green and Red) was sold for 173 million Euros. You can visit his museum in his home town, and see his paintings. #44 If you placed all Latvian rivers end to end in one single long river, it would be 38 400 km long. The Equator’s length is 40 000 km. #45 In Latvia, there are 31 people per square kilometer (on average). #46 The average age for marriage in Latvia is 30 (men) and 28 (women). #47 The Castle of Riga was built in 1330 and is now used by our President as a representative place for guests. 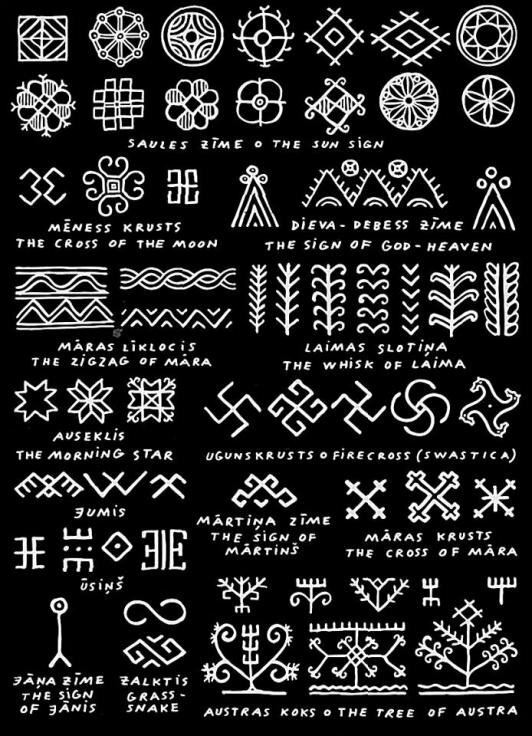 #48 Latvians are very proud of their ancient signs. Each of them has a special meaning. f.ex. many of them are used for their protective powers. In earlier times, these signs were engraved on walls in houses and on furniture. Nowadays, these signs are often used on clothes, accessories, sometimes also on furniture. #49 In 1920, an American Christian organization taught us how to play basketball. One year later, the first Latvian basketball team was formed. In 1935, Latvia became European Basketball Champions. #50 In 2014, Riga was named the European Capital of Culture. #51 Latvia has the second oldest flag in the world (dated from 1280). Denmark is the the oldest. #52 If Latvia was an island, it would be approximately just as big as Sri Lanka. #53 Our second Latvian President, Gustavs Zemgals, drew Europe’s attention when he visited King Gustav V in Stockholm. During the visit, our president got so confused that he accidentally sat at the so called “Little King’s throne place”. The media took hundreds of photos of this accident. The Latvian president was the only person who had taken this Royal spot apart from the King of Sweden himself. #54 Why do we love to sing so much? It comes from an early age.. According to “Lullabies of the World”, our sing-song “Aija Zuzu” is ranked as one of the best lullabies for babies. #55 Top export units from Latvia are; wood, telecommunication, recording equipment and steel products. #56 Despite the fact that around 30% of people living in Latvia are Russians, it is wrong to think that Latvians and Russians share the same culture. #57 Latvia has one of the fastest internet speeds in the world. It averages 13.8 MB/s, while UK has 11.6 MB/s, US – 11.9 MS/s, France – 7.5 MB/s. #58 Do you like fishing? Then Latvia has something to offer. Our small country has approximately 12 000 rivers and 3000 lakes rich with fish. #59 Riga is one of the 14 capital city names that consist of only four letters. The others are: Rome, Oslo, Lima, Baku, Bern, Kiev, Juba, Male, Doha, Lome, Suva, Dili and Apia. #60 Latvian women are the tallest in the world – average height 170 cm. I hope you enjoyed these 30 facts about Latvia. If you haven’t seen the first part of facts, you can find them here. Don’t forget to visit my blog next weekend to find out the last 39 facts. Have a great weekend, folks! P.S. Do not forget to follow me on Facebook and Instagram. ? 35. – The Lithuanians call Latvians a horse’s head, because the contours of the territory of Latvia resemble the horse’s head. This is also a historical reason. Just to specify a little more.. The negative space of Latvias contour – the bay of Riga (Rīgas jūras līcis) is the one that looks like a horse’s head. Look at the water contour – when I saw it, my mind was blown. And as far as I know, the Lithuanians are the only ones calling us horseheads (žirgagalva) which is kind of a swear-word in Lithuania. I have not met a Latvian that does this. 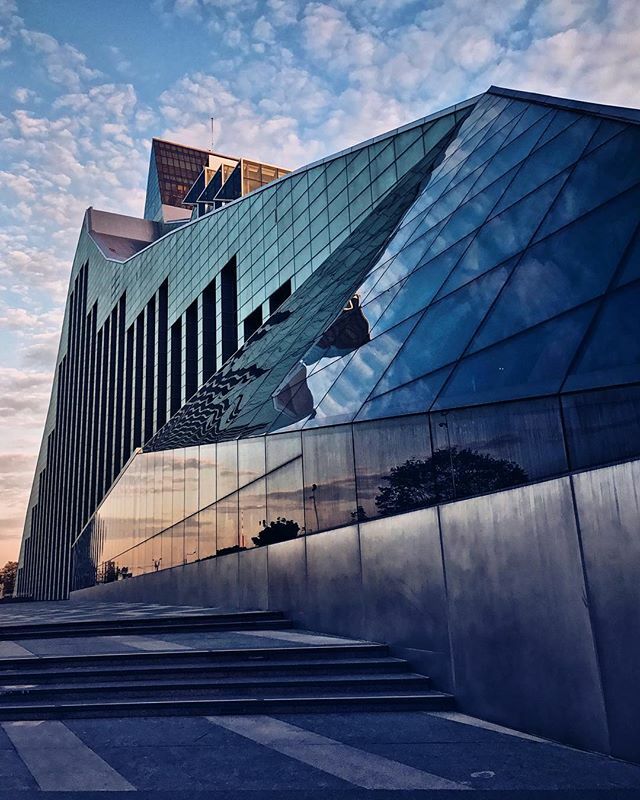 #59 Riga is one of the 14 capital city names that consist of only four letters. The others are: Rome, Oslo, Loma, Baku, Kern, Kiev, Juba, Male, Doha, Lome, Suva, Dili and Apia. In #59 I think you mean Bern (capital of Switzerland) not Kern. And no such capital as Loma exists. Lome – yes but not Loma. rests in the local cemetery with cans of Latvian Sprats on his grave. All people from Latvia could comfortably fit in a 40ha huge area. The Old Town of Riga is only 94 ha.